Attention: Please Choose (Directions and number of persons) above in order to continue Your Bookings! Guarantee Private Taxi.. No other passenger will travels with you, no waiting at the Airport on others! (ONE WAY) (Guarantee private Taxi) cost $65.us for up to 3 persons Total. Each additional persons after pay US$5.00 Each. 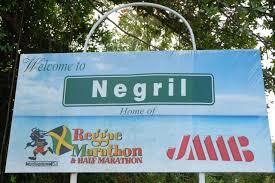 the best price to negril ever! (Round Trip) (Guarantee Private Taxi ) Cost $130.us for up to 3 persons Total. Each extra persons pay US$10.00 Each Total. We have two payment option. You can pay in advance with your credit card on Paypal, you dont need to have a paypal account, or you can just pay your driver cash upon drop off. Choose Payment option while booking your taxi service on this website get your card ready! When book with us we will have our Representative with our hand held (Turner Taxi) sign when you exit the Airport. For last minuite bookings, take the first exit door to your right outside after clearing Jamaica customs and look for the Turner Taxi Sign. No extra cost for stopping along the way for Pharmacy, Liquor store, Smoke etc, this is all your choice to stop or not. All our vehicles are Equiped with Air-conditioning, Trusted and Screen Drivers with years of experiences!! Our staff are standing by waiting on your Booking!! (Please contact us for free using (WhatsApp) look for it in your playstore, all you need is wifi, you can easily contact us while in Jamaica!